The new version of SQL Server 2012 has many new features. This course will talk about these new features and give a tour of SQL Server 2012.You will see the differences between the available editions of SQL Server 2012. 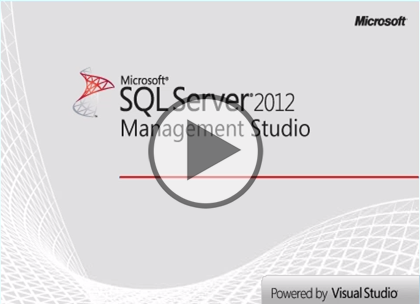 Get an overview of the components and tools that SQL Server 2012 includes. Learn about Management Studio and see the sample databases used in this course. You will see how to work with queries, tables, and views in SQL Server. Then the course will finish up with an overview of SQL Server Business Intelligence Services. The users should have a working knowledge of the Microsoft OS and Server environment but does not require any prior experience with Microsoft SQL Server or with database programming.